In the search for a new interpretation of furniture for seating I found my starting point in the incredible opportunities for shaping sheet metal made possible with the help of the latest production technology. 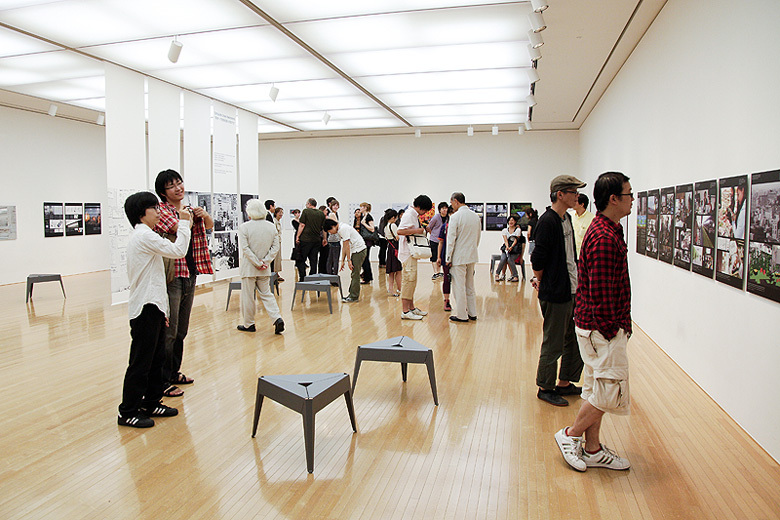 The unique yet classic appearance of the TM-Stool design results from the folds and the use of metal sheets with a thickness of only 2mm. 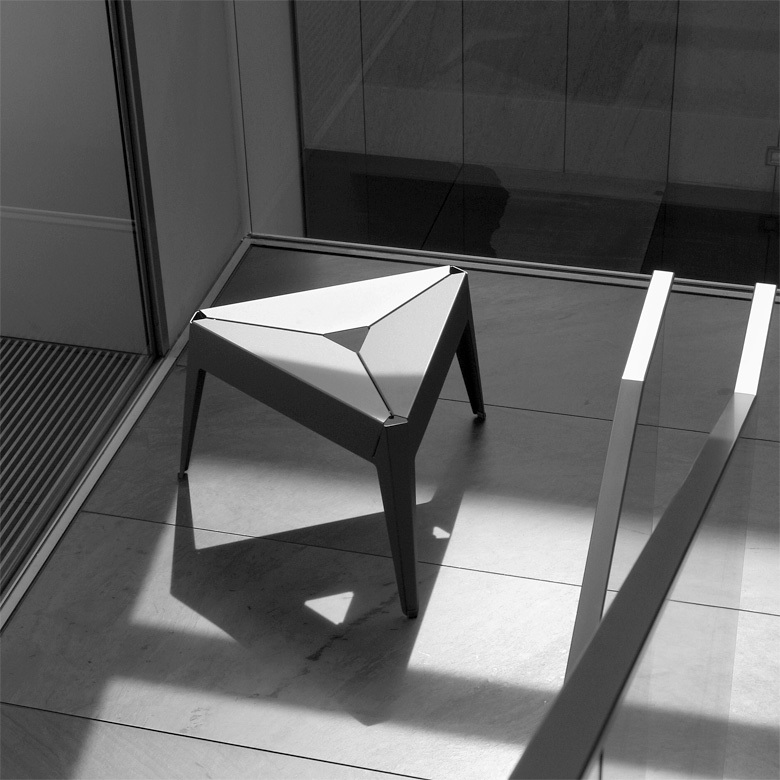 The lightness of the object (2.4 kg) is reflected not only in the extremely low tangible weight, it also reminds us of our experience and memory of folding lightweight paper as for paper aeroplanes. The manufacturing process is based on computer-controlled machines for cutting, shaping and bending the parts. The basic cut is designed in such a way that through parameterizing- namely modifying - the fundamental measurements - the adjustment of the dimensions is infinitely variable. Using laser technology enables very fast adjustment of parameters and the precision inherent in laser technology creates the finest of details. The process of manufacturing the whole structure from three single components reduces the waste of material and produces parts which are optimally constructed for coating. 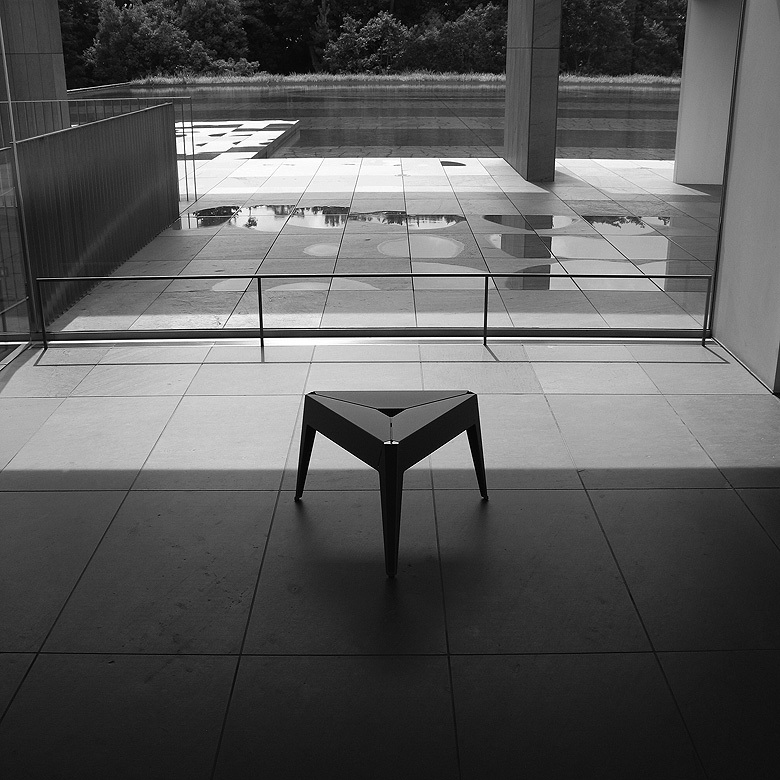 Like a sculpture or a group of sculptures the stool invites you to linger. In times when cheap plastic furniture is found all over the world the TM Stool presents an antithesis in terms of quality and in the diversity resulting from the flexibility in new production methods. The TM Stool is (besides the use in a museum) a stackable stool for use in residential and outdoor applications (on a terrace or in the garden). The ultimate goal of the design efforts is to provide a very simple object and to create a feeling of familiarity with the product.